Charting from Gothenburg to Brooklyn! For the past two months we here at Chartchums have been traveling the world, from Gothenburg, Sweden (where Marjorie presented at a TCRWP Reading Institute), to Hartford, CT (author visits by Kristi and Marjorie), Boston, MA at the NCTE Convention (workshops and book signings) and back to our own backyard, Brooklyn, NY. This week we want to share some of our adventures with you by highlighting some of the charting done in Gothenburg and Brooklyn. 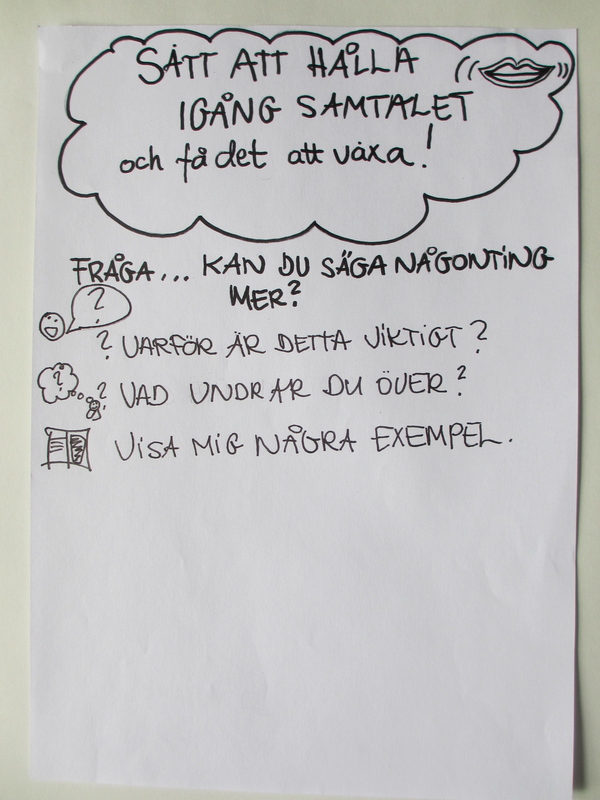 “Hej, Hej” (pronounced Hey, Hey) is Swedish for “Hello.” As Marjorie spent a week working with teachers and coaches in Sweden what quickly became apparent was how universally caring and hardworking teachers are across the world and children are children no matter where you are located. One area the teachers wanted help with was not only how to get partnerships up and going, but to make them more productive and purposeful. We brainstormed some ideas and used charts to help clarify our thinking and instruction. The goal was to find ways to engage children in the process of partnerships that would lead to successful reading and talking. We worked on drawing pictures, which lead to some drawing lessons like those seen here in past posts Let’s Talk About How to Draw and Let’s Talk More About Drawing. Visuals are truly universal! 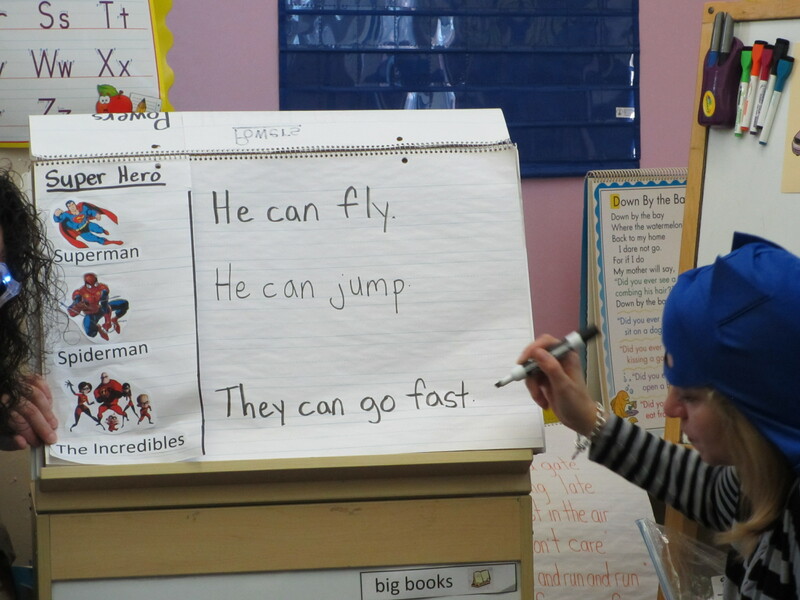 Then we talked about using language that is clear and catchy. Repetition and rhyme works in advertising and teaching both because these help get things stuck in our heads. How can we read together forever? Here are some examples of the reading partnership charts the teachers and coaches planned out to use with their K-3 students. Thanks to Edit, Helena, and Charlotte for contributing their skills and actually making the charts. 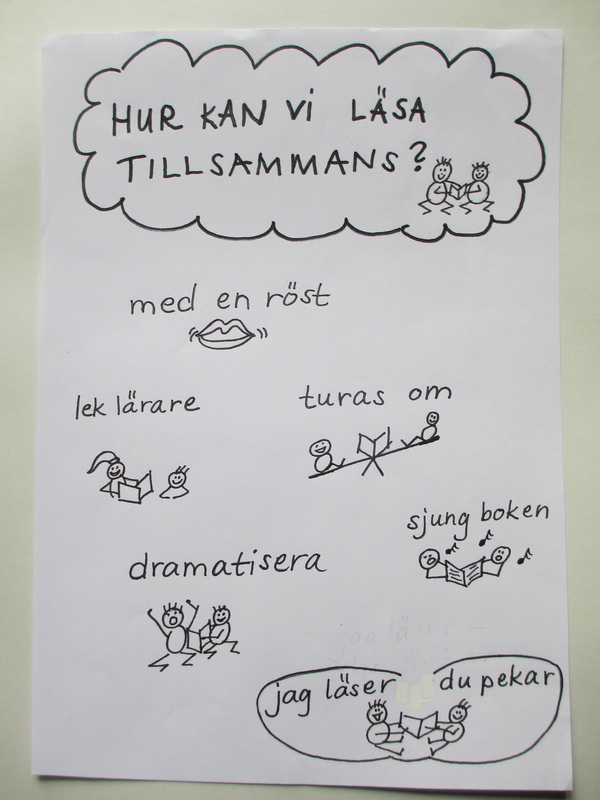 And while you may not be fluent in Swedish, you will be able to figure out what each chart is teaching by looking at the pictures and by recognizing a few of the English/Swedish cognates we share. Charts, like people, have lots in common. Have fun! The first chart provides a menu of options for readers to choose from, such as read together as one voice, play teacher, seesaw, act it out, sing it, act it out, or I read, you slide. The second chart reminds partners of some things they can talk about, like the characters, the problems, or the lessons in a story. The last chart prompts partners to ask each other, “Can you say more?” For example: Why is that important? What does that make you wonder? Show me an example. 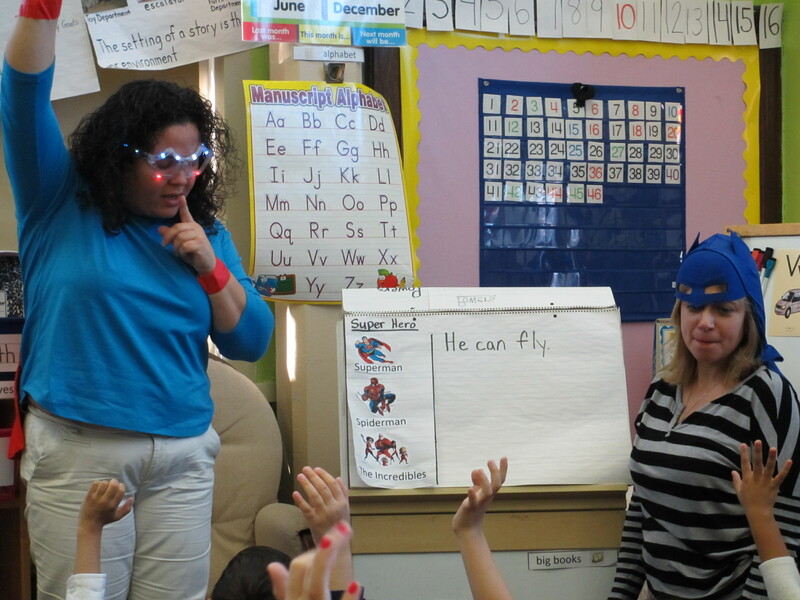 Back in Brooklyn some Kindergarten teachers at PS 192 were planning ways to get their young students ready for a unit on beginning reading behaviors. 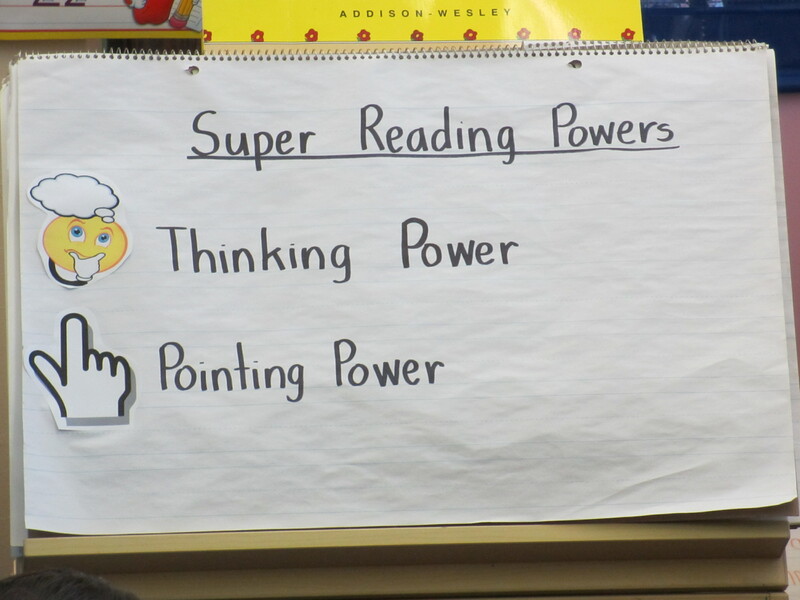 The TCRWP refers to these as “Super Powers” and it leads to lots of metaphoric fun. 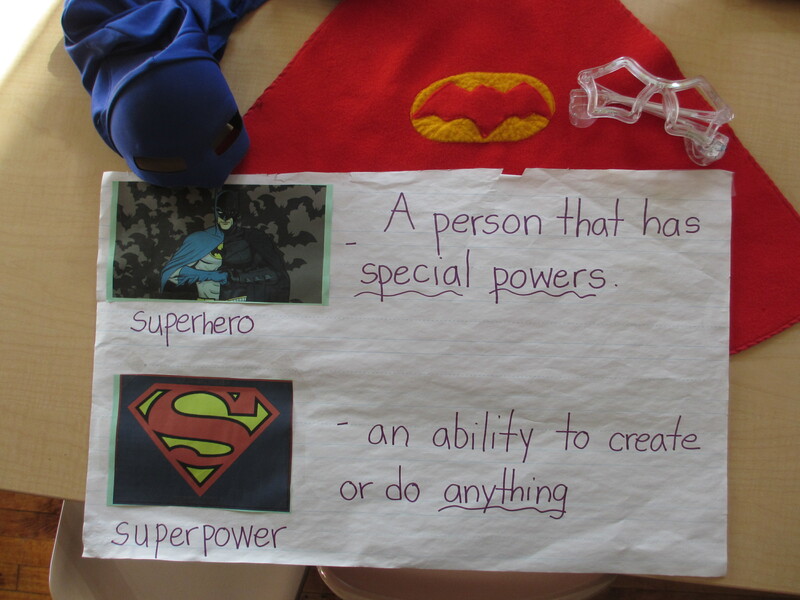 Besides borrowing some super hero costumes from their own children, Lynette and Alison created charts to provide visual reminders of what they were teaching. They used a combination of photos and icons to underscore their words and keep their kids’ attention. It really worked. There was not a single disengaged kinder to be found. Recording what super heroes can do. 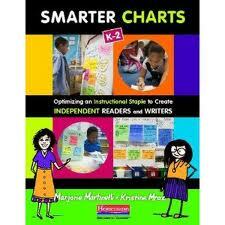 So across the world charts are being used to help teachers plan and children learn. “Hej Da!” (hey doe) or “Goodbye” for now and of course, Happy Charting! This is fabulous. 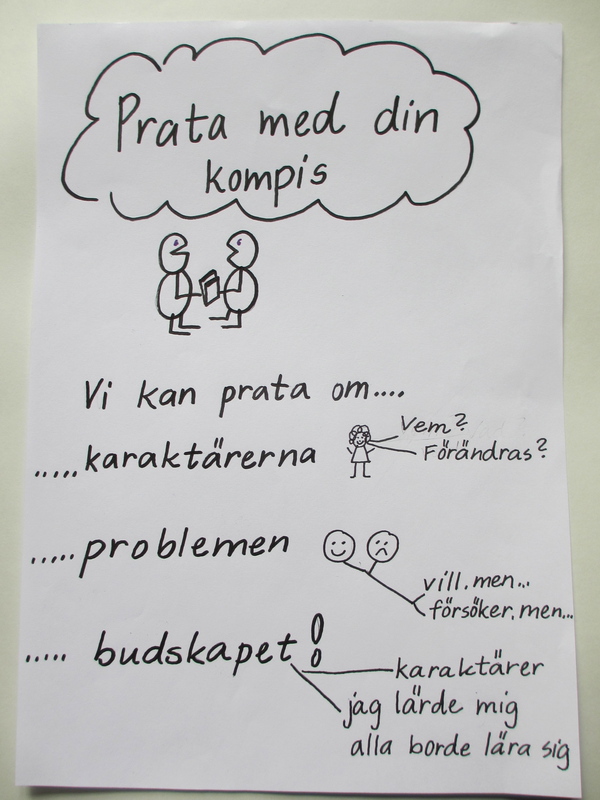 I love the partner charts from Sweden. The variety of partner charts not only supports partners who are trying different things but emphasizes the importance of partnerships because there are a few, not just one hiding in the corner. So great!